The issue of Sister Reeves having information about a confession that she shouldn’t be privy to came up in my house as well. This is exactly why people don’t want to go talk to their Bishop. It’s so gone beyond unhealthy for me. I don’t know why I stay. It’s wrong. I came to the church because of things I learned that I guarantee you the First Presidency doesn’t think is “OK” or “Approved.” But I know they don’t care about that. Let all the children come unto Christ…… “as long as” you’re parents aren’t gay. Relentlessly pursue truth….”as long as” you do it in the bounds we set for you. We need women who can fearlessly teach, who can drawn on the power of Heaven in bold faith….”as long as” you agree with everything we say and do everything we tell you to do. No matter what you’re strengths and backgrounds are, this church needs you and there is a place for you here…”as long as” you live your life painted into the picture we tell you to. What I’ve listed above is absolutely true based on personal experience and just watching/listening to to talks, and LDS materials in the last 2 years I’ve been a convert. I can’t keep it in anymore and it makes me weep. 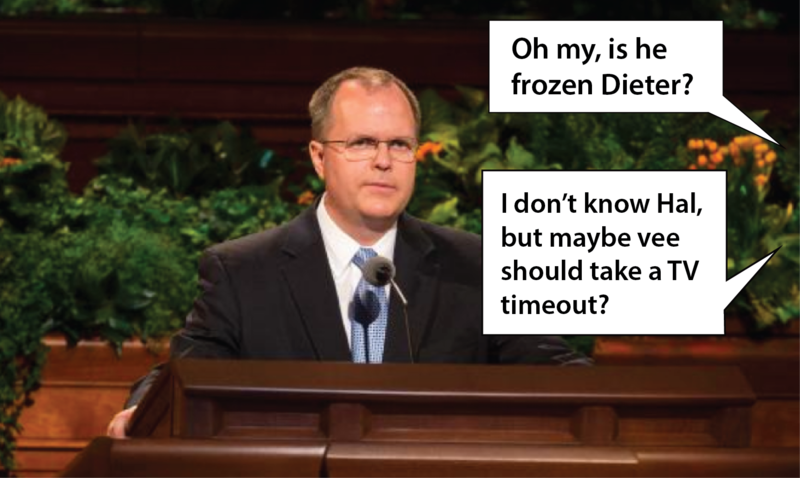 This line of thought from Elder Christoffersen still baffles me. Maybe it’s because he and his companions don’t study the Lectures on Faith? He is not the only one, though. Elder Nelson has taught the same. However, *President* Gordon B Hinckley said it *is* unconditional. Who of all these men are right; or, are they all wrong? If any one of them be right, which is it, and how shall I know it? While I was laboring under the extreme difficulties caused by the contests of these men of religion, I was one day reading the First Epistle of John, fourth chapter and tenth verse, which reads: Herein is love, not that we loved God, but that he loved us, and sent his Son to be the propitiation for our sins. I reflected on it again and again, knowing that if any person needed to know if God loves us all unconditionally, I did; for these teachers of religion understood the same passage of scripture so differently as to destroy all confidence in settling the question by an appeal to the Bible.
. . . OK, you get the point. I think these men of religion are confusing *favor* with God, with *love* from God. You bring something important: “I think these men of religion are confusing *favor* with God, with *love* from God.” I agree with you on this completely. I also heard in Conference this time and other talks as well, that you cannot be saved in your sins. Every time I hear that and hear it in the way it is presented by the LDS leaders, I immediately think of the scripture that says, “While we were yet sinners, Christ died for us.” Do we have to accept that? Yes, but the fact is, He still died for us while we were sinners…. It’s like a marriage, indeed. If my marriage was considered successful based solely upon our emotions and how we treat each other on a hourly basis, we would fail eventually. But what makes my marriage, or anyone’s marriage, successful is: commitment. Same with God. If God based the success of our relationship with Him on our emotions toward Him and how we treat Him, we would be unsuccessful. We would fail. We DO fail. Because to be honest, we don’t treat Him like we should. But our relationship with Him can be considered ‘successful’ based upon HIS commitment towards us. Hence, 1 John 4:10. Not that we love Him, but He loves us. He works with us. He has mercy upon us. He is a good Teacher. He does not give up on us. Christ sacrifice was and is worth it all. He does not regret it. Nephi is a good example on how to obtain and retain favor with God, which is separate from His love for us. I don’t know about you but one of the prevailing philosophies of Christianity is this – that God will save men as long as they profess belief and not DO what he says. I prefer not to mention names, however, one of the “Seventies” who gave a talk at conference was my former Bishop and a member of the Stake Presidency and a Mission President. I have to say he is one of the most intelligent, yet humble and fine men I have ever come in in contact with. I was excited to learn he would be speaking in this past conference. I was on the road and was listening to conference when he gave his address. For the first few minutes, I thought they had introduced the wrong person. He did not sound at all like himself. In fact, I had to wait until he got into his talk to find any refection of his voice that I was familiar with. The talk did not have the wonderful flow of language and thought that I had heard so many times before when he spoke. It felt ridged, practiced and strange and his verbiage did not seem to be his own. A couple of days later, I ran in to him and of course I acknowledged his talk. He said it was a frightening experience. 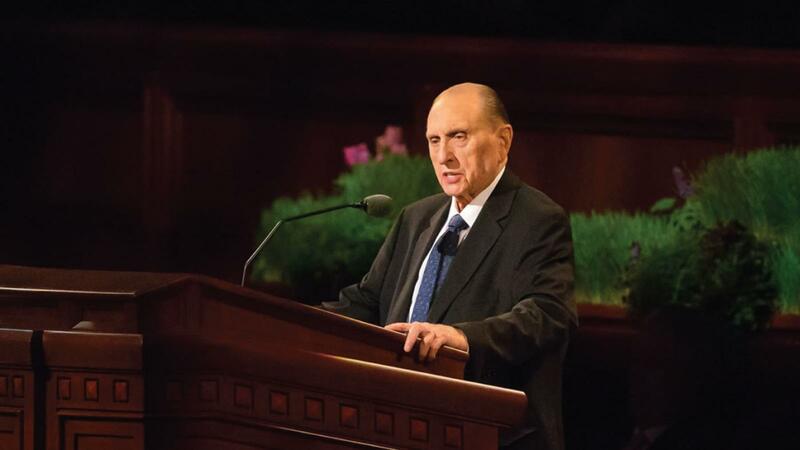 He also mention that his talk had gone through 7 committee’s including the first presidency. Hmmmmm no wonder the talk did not sound like him and represent him at his best. Never trust the Church T.M. Trust the gospel!! I like the UPS man, and what he brings me.But I don’t worship him. The Lords Church has never been perfect.Even when he was here on earth. Dont stand in anybody’s Line!! Especially these cornballs!! Thank you for sharing that “inside” info that talks must be subject to a multitude of committees’ approval. Your former local leader who spoke so powerfully in local meetings because the Spirit could speak through him “in the moment” found his tongue stayed, as the committees “quenched” the Holy Spirit. I freely admit I haven’t watched conference in years. It bores me to tears. It the LDS version of a Hallmark Channel Movie. Or worse, a Hallmark card. It feels like every statement is made with the intent of it becoming a meme – flowery words over pretty pictures – to be posted on Facebook, Instagram or Twitter. If you go to LDS.org, you’ll find plenty of “motivational” and “inspirational” stuff. You want find any prophesy, revelation, translations; or modern accounts of visions, miraculous healings, or speaking in tongues. Hell, you won’t even find a mention of the Book of Mormon on the landing page. In the last year — and I’ve been keeping track — I’ve found two features on the Book of Mormon on the landing page. One was a link to print out Book of Mormon art for your lessons (at the bottom of the page). The second was an announcement that the Church would be making some new BoM movies (also at the bottom of the page). That’s it. It’s nuts. How many LDS people are aware the day of the Gentiles (we Northern European Mormons) is over? That the Lord’s warning to the Gentiles when he appeared at Bountiful about the Remnant of the House of Jacob hewing us down is happening right in front of our eyes? That we Gentiles have polluted the Holy Church of God? That all our churches are corrupt – every last one! But hey, you can find an article on 25 Ways to Hashtag Light the World at LDS.org. I think it’s safe to assume we’re still under condemnation as a people. I want the rest of the Book of Mormon, so get with everyone. 🙂 Let’s work together. Earlier this year I spent six months in NYC. I had never been before, so I went out and explored. Central Park was hands down my favorite. It’s sacred ground, IMO. Two or three times a week I’d just go walk around for an hour or sit on a bench and think and ponder the scriptures and spiritual things. I had more spiritual insight, personal revelation, enlightenment, learning, understanding and peace come to me during those walks through inexplicably beautiful nature than I’ve had in 40 years of conference talks. Or church. My experience sounds an awful like our founder’s.